Jody Colvard is the CEO of the FMG Network and VoicesOfWomenMedia.com and WomeninPodcasting.com, cutting-edge communities combining art and science to empower voices, ideas & stories. Jody was the first woman to teach podcasting in China, she began teaching blogging and podcasting in the early 2000’s, social media in 2005, and has spoken on major stages all around the world, with names such as; Michael Beckwith, Dr. Joe Mercola, Zappo’s CEO Tony Hsieh, Loral Langemeier, Mark Victor Hansen and many more. 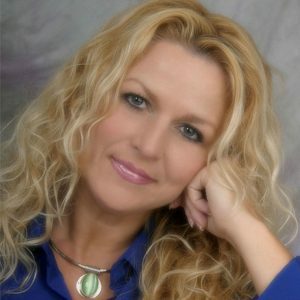 With over 18 years of business successes, Jody has worked closely with celebrities such as Chaka Khan; with charity organizations such as Make a Wish Foundation and The Sole of Africa with Nelson Mandela, Brad Pitt and Sir Richard Branson; and with clients featured on 20/20, Good Morning America, Oprah, and Dr. Phil. Jody Show – Stories about entrepreneurs, inventors, healers, artists, activists and global change-makers. Voices Of Women Unite – Round table sharing the voices of women from all walks of life. Jody Show – Women and Men stepping up, living their dreams and changing the world for the better. Voices Of Women Unite – Women entrepreneurs, inventors, healers, artists, activists and global change-makers. Looking for people passionate about living their dreams and changing the world for the better. Advice for podcast guests: Share useful information, stories and be authentic…prefer not to have scripted responses.